packed dance floors… all. night. long. Music is our passion and we want to share it with you and your loved ones. Our DJ’s take pride in creating sets using music that is loved by all guests, no matter the age, gender or cultural background. We specialize in keeping dance floors packed by working closely with our couples to really understand their tastes and likes beforehand, then creatively combining that with how their guests are reacting the night of. want to find out more about our dj service? Our Filmmakers create more than just a wedding video for you. We create a visual heirloom. We capture all your favorite moments of the day and turn it into a beautiful work of art. 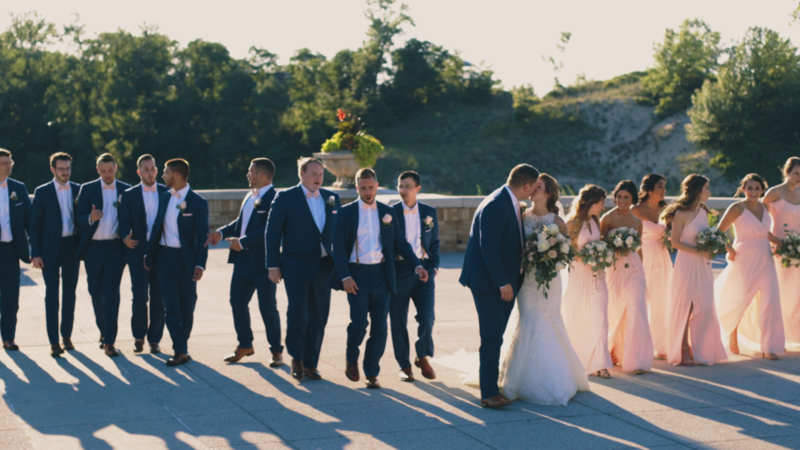 Our goal is to design a detailed film that you will want to re-watch for years and years to come but still invoke that feeling of “it feels like just yesterday we exchanged vows…” We want to not only be the cure for the common DJ, but also the cure for the common wedding film. WANT TO KNOW MORE ABOUT OUR FILM SERVICE? “Our wedding would not have been the same without having 27 entertainment as our DJ! They got the crowd pumped up when we were introduced as husband and wife. The energy was up the the whole night and the dance floor was packed until the last song. If you are looking for a great DJ for your wedding or event, look no further than 27 Entertainment. We could not have asked for a better experience!